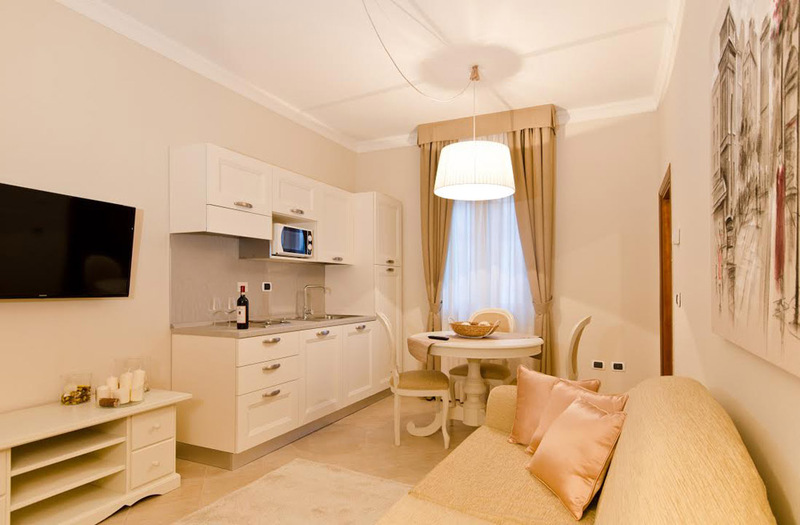 This is a one-bedroom apartment of 50 sq.m, situated on the second floor of Pontenani Building. 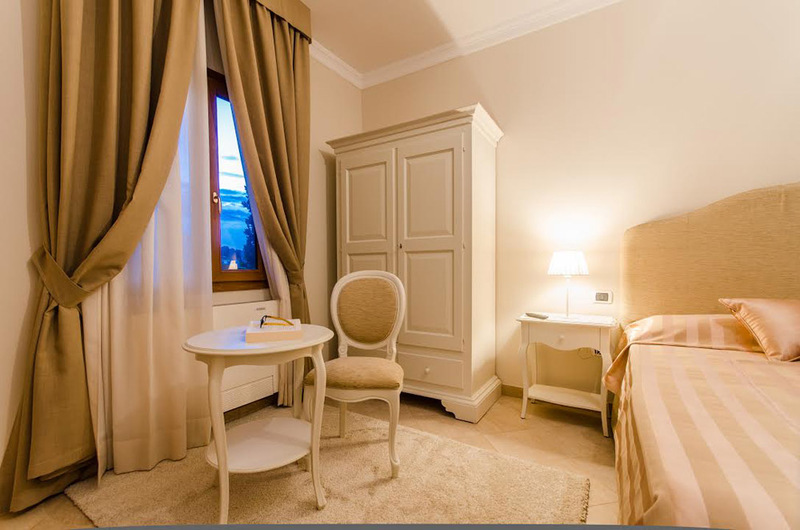 The suite with a view of part of Arno river, is furnished in a classic contemporary style. This suite features a living room area, with a table and a double sofa bed for two people. 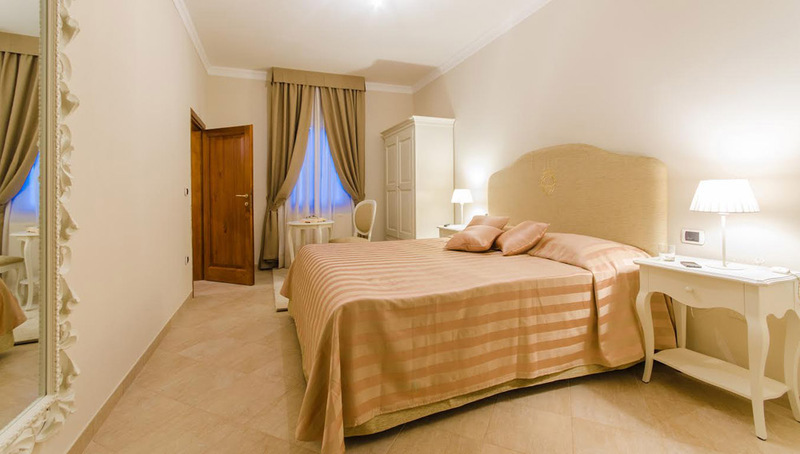 The bedroom has a queen size bed, (The measurement of the double bed: 203×173). For your enjoyment and comfort, there is air-conditioning, a heater, a hair dryer, a courtesy tray, a flat – screen tv, wifi access, a dishwasher machine, a refrigerator – freezer, a kettle, a microwave and an Italian coffeepot. Sheets and towels are also provided.